Watch for deer and prevent injury and property damage. You’ve always been a safe a driver. You’re heading down the highway at dusk and out the corner of your eye, you get a glimpse something moving and then, BOOM! After you calm down you realize you hit a deer and it really did a number to the front of your car. According to the Insurance Information Institute, car and deer collisions cost $4 billion a year. Iowa is ranked third in the nation for the likelihood of a deer collision. Which insurance coverage pays for deer collisions? Your auto insurance’s comprehensive coverage will pay for your car’s property damage caused by a collision with a deer or animal. 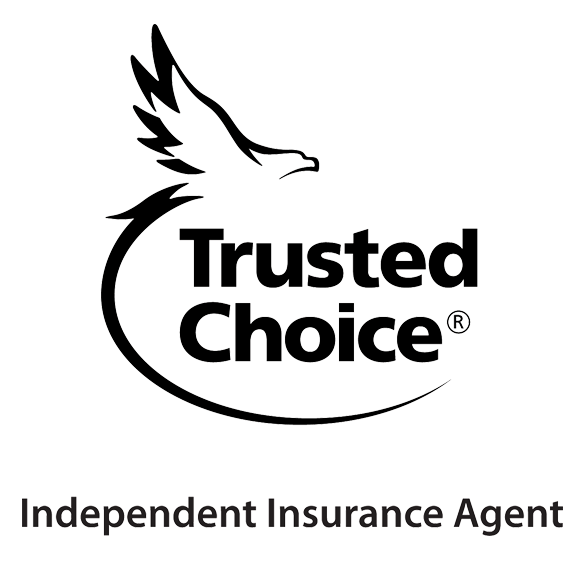 Comprehensive coverage is sometimes called, “Other than Collision.” This is the same coverage that pays for damage to your car by many natural causes such as wind, fire, hail, flood or falling objects like a tree branch downed in a storm. 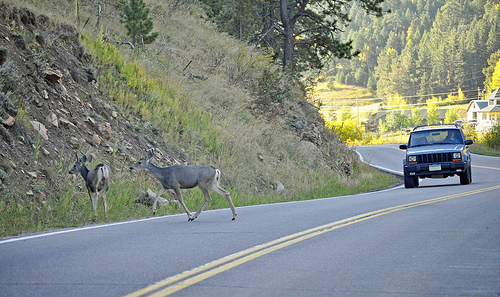 Deer strikes are not considered a collision by insurance because the animal usually runs into your vehicle. Comprehensive insurance claims are considered not at-fault. Therefore insurance companies don’t surcharge for collisions with a deer. Your deductible would apply, although some insureds maintain a slightly lower deductible on their comprehensive coverage than on their collision coverage. The reasoning behind this practice is some are willing to bear more of the risk for an accident they caused if they feel they are a relatively safe driver. The higher your deducible, the lower your premium cost. I had a customer who reported a deer related claim. Several deer had run onto the roadway at once and her instinct was to avoid them. She quickly jerked the steering wheel, putting the car into the ditch and damaging the car. The claims adjuster asked if she hit any of the deer. She said she wasn’t sure since it happened so fast. The adjuster asked if there was any physical evidence of the deer on her car such as blood or fur. There wasn’t any and subsequently the claim was ruled a collision, an at-fault accident. That triggered a premium surcharge and a loss of the safe driving discount, a double blow to the pocketbook! No one deliberately wants to see an animal get harmed. However much more serious crashes can occur when you quickly serve out of your lane into the path of another car or object. Instead, stay in your lane and brake firmly if you see a deer coming into your path. Be on the lookout for deer especially at dawn and dusk when deer are most active. The regular shotgun deer season is roughly Dec. 5th through 20th this year. As deer are flushed out of their habitat they can end up running across roads and highways. Mating season or “the rut” also occurs in the fall of the year, typically late October to early November in Iowa. Be particularly vigilant and avoid an expensive encounter with a deer this season!